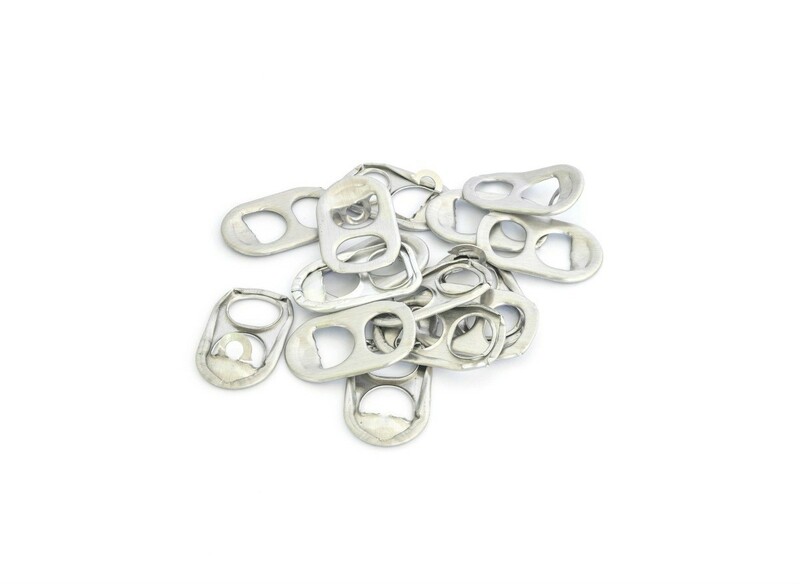 The aluminum tabs from soda cans have many uses, from securing lightweight wall hangings to increasing wardrobe space in your closet. This guide contains a variety of ways you can reuse these pull tabs. This is a guide about using soda can tabs to double wardrobe space. 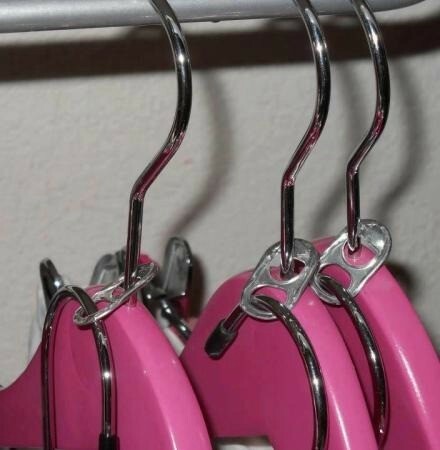 To help organize your clothes closet you can add room for more hangers by using can opening tabs. The aluminum tabs from soda cans can be used to hang lightweight wall hangings. A great recycling idea. 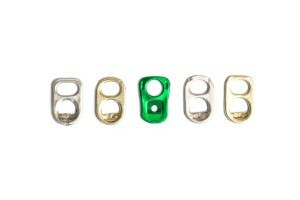 This is a guide about using soda tab tops to hang items. This is a guide about crafts using pop can tabs. Soda or pop can tabs are being reused in a variety of craft projects. What are some good uses for pop tabs? Use them for hangers for arts and crafts projects. You can use pop tabs in your scrapbook pages. 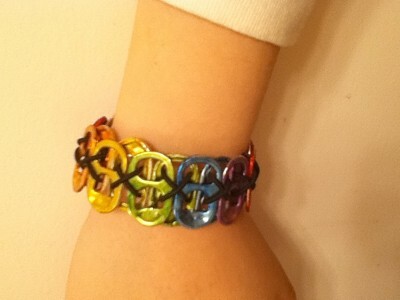 Use it as a "buckle" for ribbon. You can paint or emboss it to match any color scheme. It could be the buckle on a Santa suit for Christmas cards, decorations or children's artwork. Place tabs in a circle to create a "flower". Line them up for railroad tracks for toy trains. Donate them to McDonalds for their Ronald McDonald houses that help families of sick kids. I believe all Ronald McDonald Houses collect the Pull Tabs to raise money to support the house expenses. The Loma Linda CA House collects all year long but has a big promotional day and they bring in over 10 million tabs. It is a very easy and free way to support a very worthy cause. People don't ask to get sick. Call your local House or Hospital to see where the nearest House is located. Kristi asked what to do with pull tabs on drink cans, at my job we save them and a lady takes them to school and children get Cancer treatments with them. One of the biggest mistakes made with the Tab Recycling Program, is to say "Why not just return the whole can?". to my knowledge, 11 states have Deposit Laws, it is hard to get some people to give up $1.20 for a case of returnables (or $2.40 in the case of Michigan), but to get them to give up 24 tabs, costs nothing, and when you put enough people together, you could be like my 4 member Cub Scout Den, and have collected over 680,000 tabs which we have donated to a variety of charities. To the poster who wanted to know where to send tabs in Orlando Florida, Shenandoah Elementary is the largest collector of tabs in Orlando at 1,076 pounds since 2006. Shenandoah Elementary the 4th largest collector of tabs in the United States. Liv, most hospitals have a dialysis unit that collects tabs, but the few that do not support McDonald house charities, just bring them to your closest McDonalds. 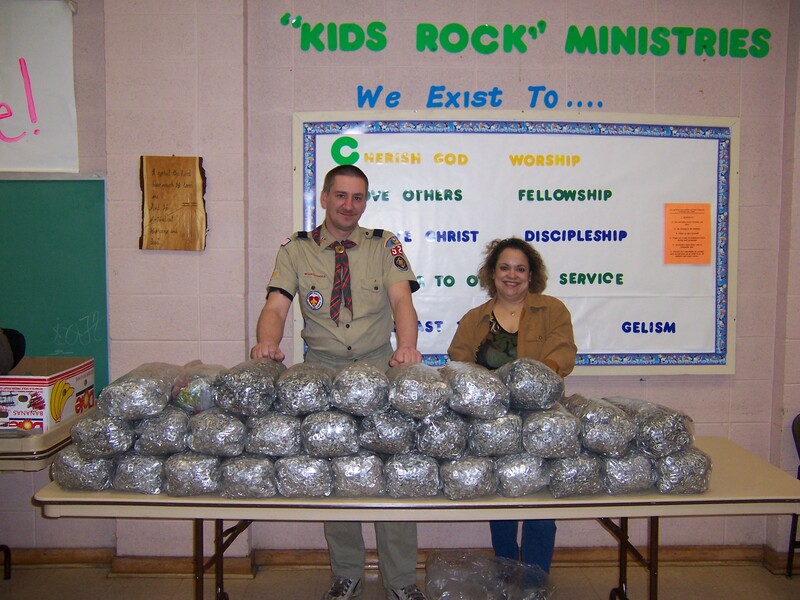 Elayna, it is no Urban legend, my Cub Scout Pack is the Largest donator of tabs to McDonalds House Charities at 3,400 pounds so far, plus another 395 pounds to other organizations. Your tabs are considered 'clean aluminum' by 82% of the nations recyclers, and fetch 50 cents to a dollar a pound depending where you live. You might have to make a few phone calls before dragging them in though, as 18% of recyclers don't take them. should you be interested, I have built a web site devoted to tabs.